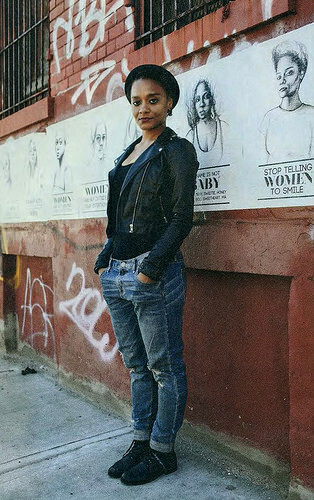 Coney Art Walls Mural painted by Marie Roberts in 2015 will be replaced by a new Roberts mural this season. 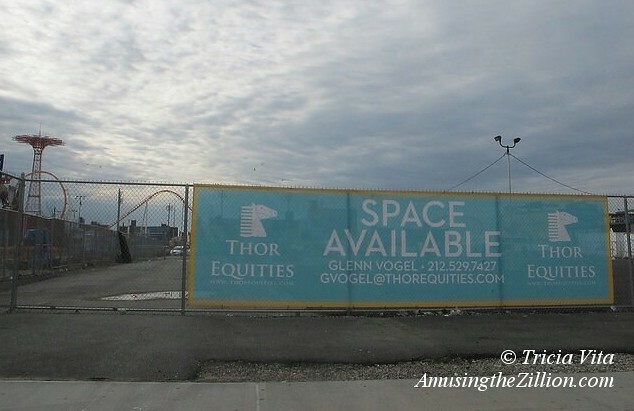 Coney Art Walls, an art project curated by Jeffrey Deitch that turned Thor Equities’ vacant lot behind Nathan’s into a pop culture destination last summer will be back in 2016. Seven murals painted on concrete, will stay for another season. Most of the other walls have been sandblasted and are blank canvases awaiting a new group of artists set to begin painting this spring. 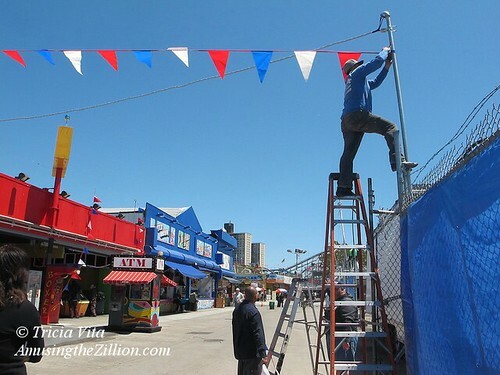 “We are working on the artist line up for Coney Art Walls upcoming season,” Ethel Seno, who manages and coordinates the project for Jeffrey Deitch, told ATZ. The art walls are interspersed with colorful shipping containers that housed Red Hook Lobster Pound, Home Frites, Bon Chovie and several other Smorgasburg vendors last summer. The cafe tables and chairs amid the art walls were a welcome amenity in Coney Island where there is a dearth of public seating. 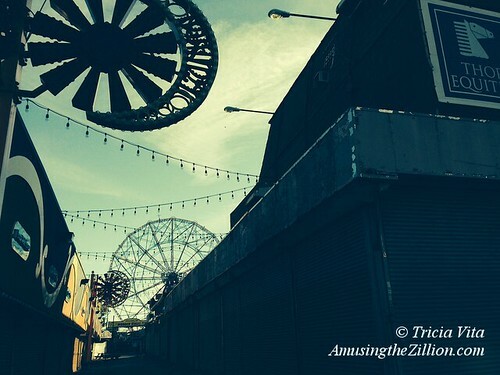 Thor Equities is close to finalizing an agreement to bring a new food operator because Smorgasburg will not be sending its vendors to Coney Island in 2016. 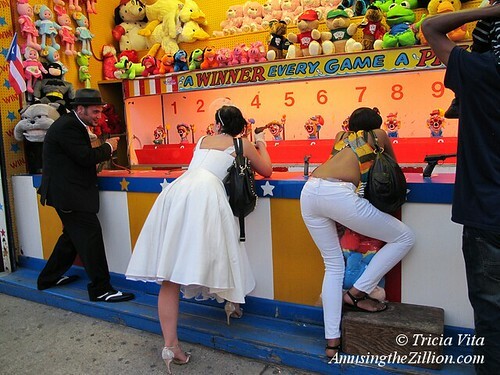 “Not this year for us,” Eric Demby, co-founder of Brooklyn Flea and Smorgasburg told ATZ. 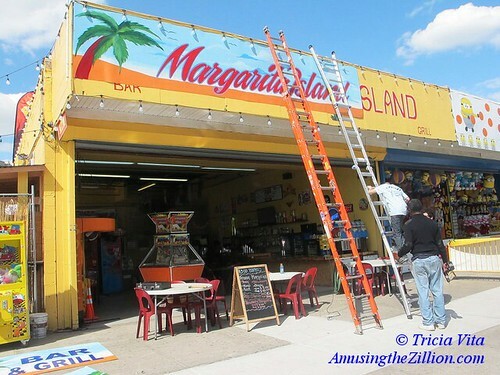 Last year, Thor’s vacant lot across the street, bounded by Stillwell Avenue and West 12th Street, hosted a popular trapeze school, wrestling matches and other entertainments, and an outdoor cafe. 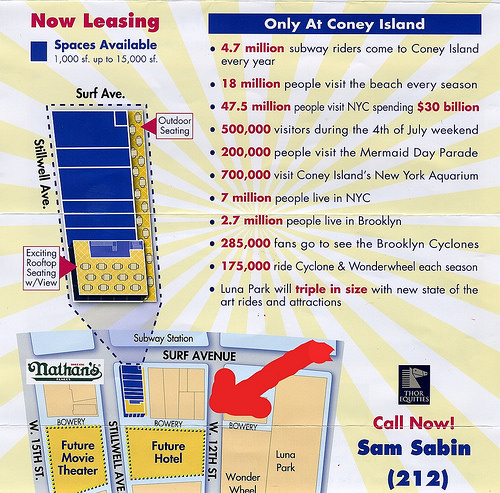 A banner advertising the lot for lease went up in the middle of March. 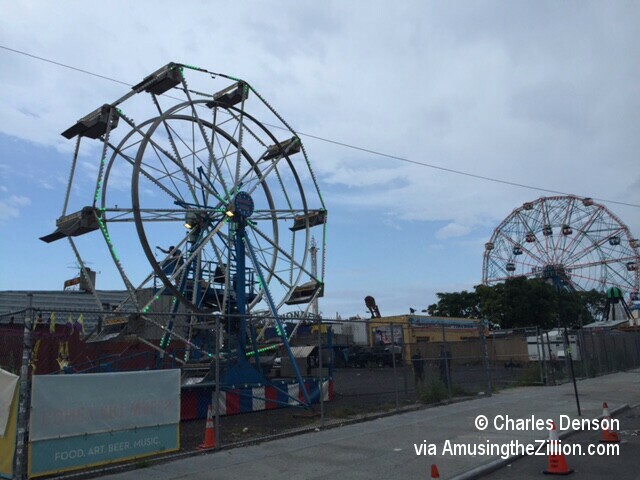 On Thursday, some heavy machinery was brought it to break up the asphalt, lending credence to the idea that we heard from the Coney Island Rumor Mill. 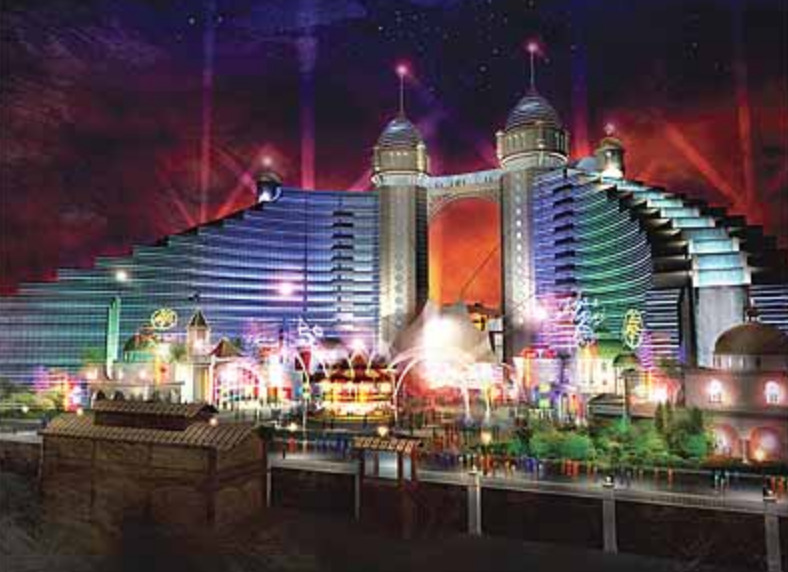 A go kart track is said to be the next new thing there, and possibly a miniature golf course. 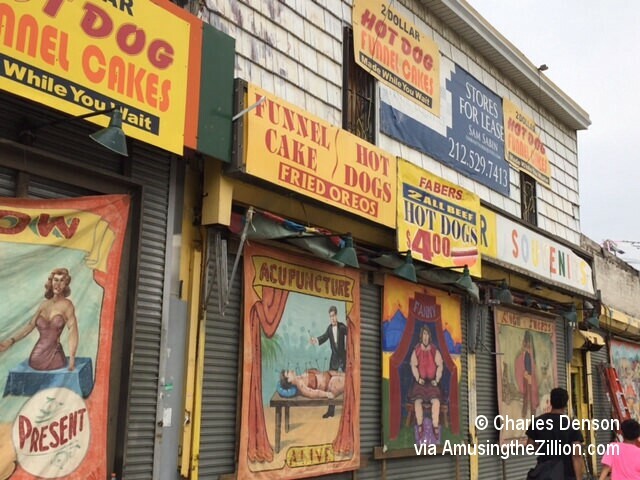 If it turns out to be true, it’s great news and proof that everything old is new again in Coney Island. 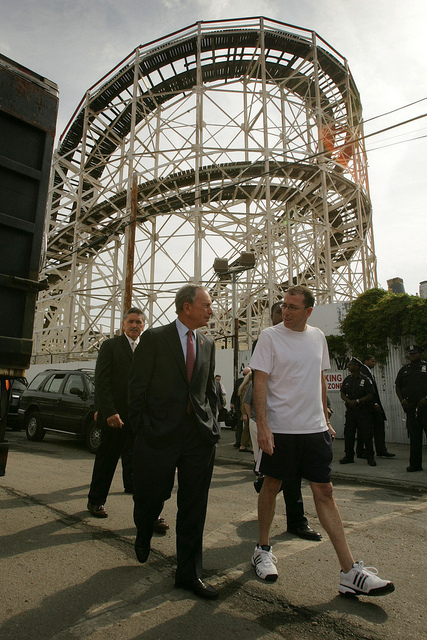 Go karts and mini golf were among the amusements evicted by Thor CEO Joe Sitt when he first bought the property in 2007. 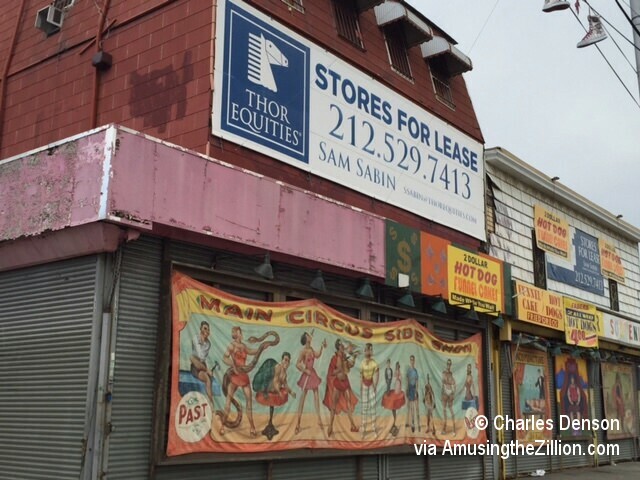 As for Thor Equities newly acquired properties on the Bowery, sources tell ATZ the mom and pop concessionaires and food operators got a new lease with only a slight rent increase – due in three payments– but the cost of their insurance policy has tripled. 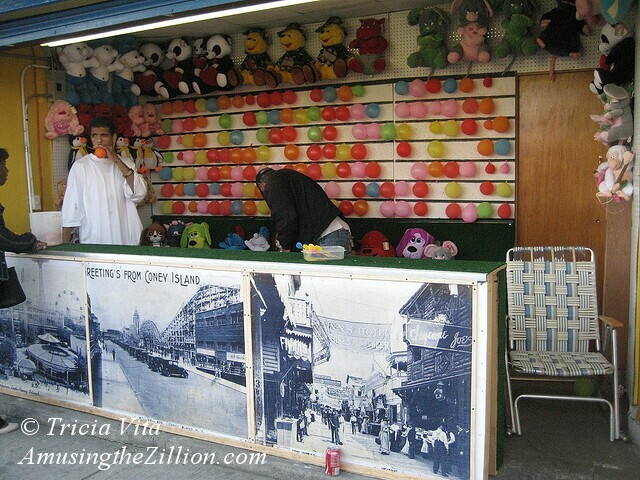 Please patronize Coney Island’s independent operators this summer! 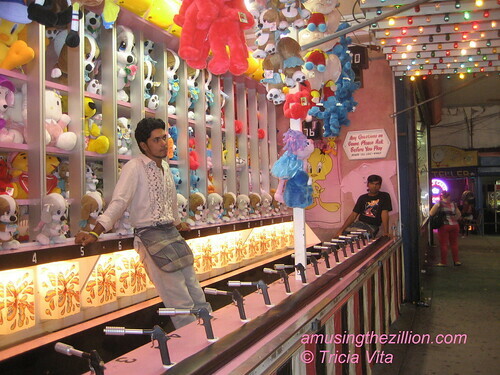 Coney’s Bowery To Get New Midway Games But Can It Get Its Groove Back? 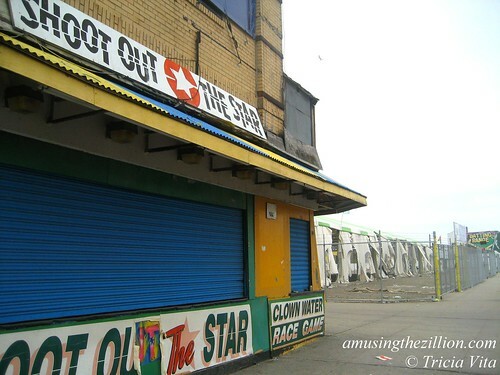 Since Thor bought the property in 2006 and emptied out the bumper boats, go karts and batting cages, the lot has seen sporadic use, most infamously in 2009 as the failed Flea by the Sea. Its tattered tents can be seen in the photo above. Can the Bowery get its groove back? Or will it get a complete redo? 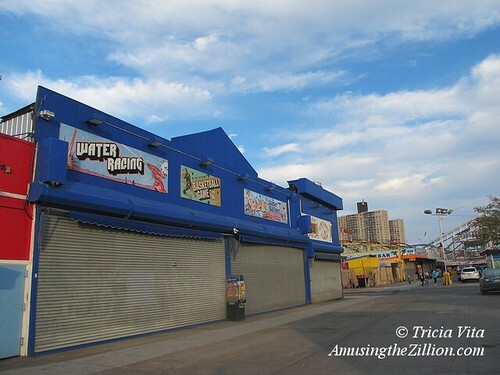 Coney’s Bowery from West 12th Street to Stillwell is a ghost town compared to the crowds it used to attract, particularly since McCullough’s Kiddie Park got pushed out in 2012. 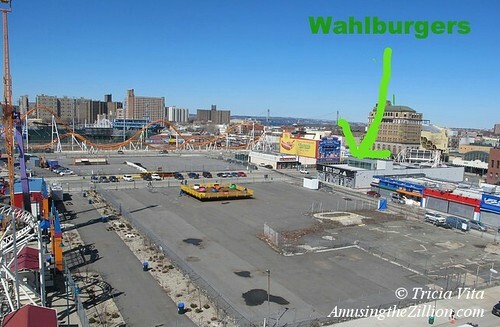 As a measure of how much has changed, the spot where the old-school Balloon Dart was located in the demolished Henderson Building is now occupied by the Brooklyn Nets Shop in Thor’s retail building, where Wahlburger’s is opening a rooftop dining area that will overlook the festivities unfolding on the lots this summer.